5m SFP+-SFP+-A/5m 'Active' SFP+ 10GigE Cables Please call for pricing and availability. 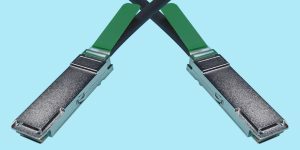 7m SFP+-SFP+-A/7m 'Active' SFP+ 10GigE Cables Please call for pricing and availability. 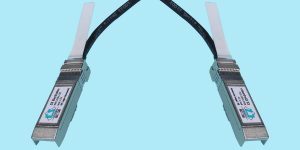 10m SFP+-SFP+-A/10m 'Active' SFP+ 10GigE Cables Please call for pricing and availability. 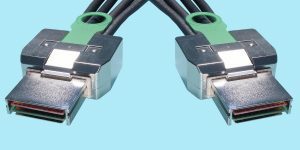 15m SFP+-SFP+-A/15m 'Active' SFP+ 10GigE Cables Please call for pricing and availability. 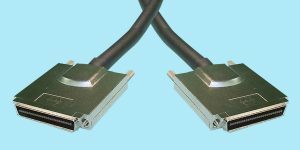 SFP+ cable assemblies are designed to interconnect a variety of common physical layer standards including 10 Gigabit Ethernet, Fibre Channel, Serial Attached SCSI, and InfiniBand. The superior electro magnetic interference (EMI) girdle design ensures the industry’s lowest EMI interference. Low power helps to maximize the number of ports that can be used per host board. I2C (Inter-IC bus protocol) interface and on-board EEPROM features enable the host to detect or configure specific performance characteristics. Supports 10-Gigabit Ethernet and 10-Gigabit Infiniband standards. Also supports 1, 2, 4, 8 and 10 Gb/s Fibre Channel applications. Supporting rates up to 11.3 Gb/s. Improved girdle design ensures lower EMI interference. Zinc die-cast SFP+ connectors reduce power and lower port cost compared to optical. Conforms to SFF-8431 specifications. Fully compliant to SFP+ MSA.